Over the course of a few months I had the pleasure of painting 3 murals at SUNY Ulster with other members of the SUNY Ulster Art Association (SUAA), which I was president of at the time. 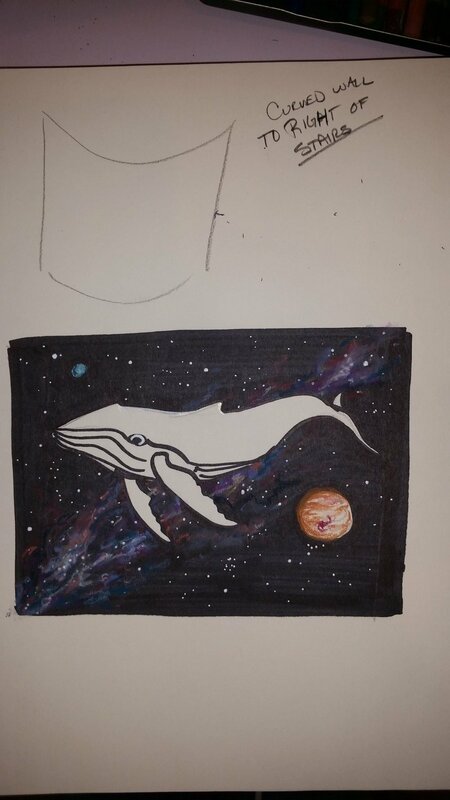 We chose a theme of "whales in space." I designed the general layout of the murals, and you can see my thumbnail sketches for them in the gallery below. 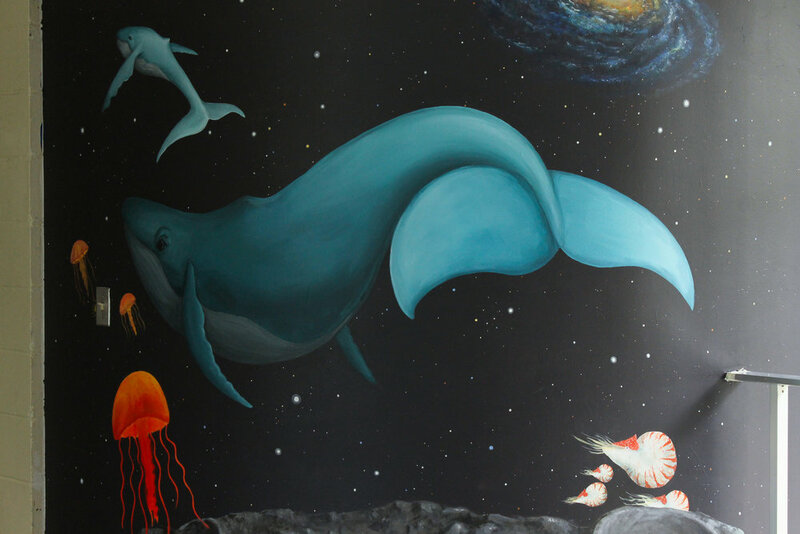 The various members of SUAA added to the murals via their own sea creatures, as well as adding in the satellite, which is painted around a wall heater. Photo (left to right): Jack Pierce, Amanda Tulacz, Monica Krajcovic. 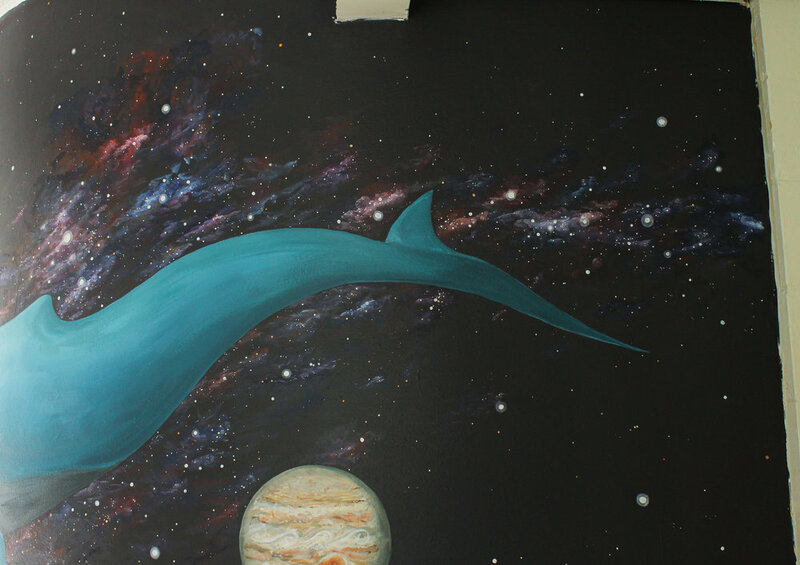 In this mural I painted the blue whales, spiral galaxy, and stars. 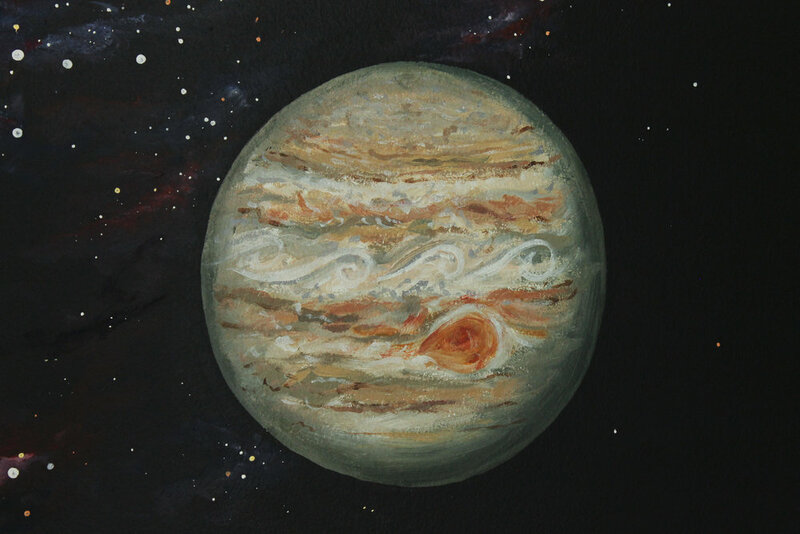 The moon/asteroid surface was painted by Sam Leiching, Monica Krajcovic, Jack Pierce, and Jillian Lewis. The jellyfish were painted by Jack Pierce and Doug Doyle. The nautilus were painted by Monica Krajcovic. 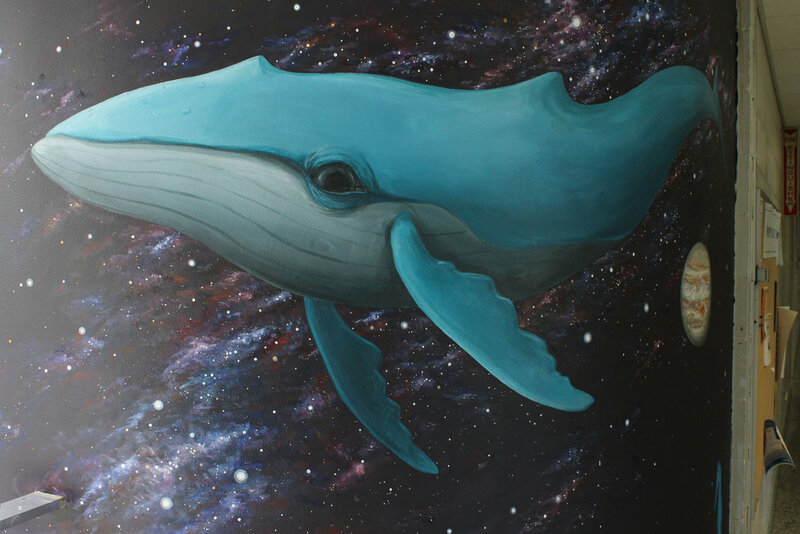 In this mural I painted the blue whale, planets, most of the nebula background, and stars. 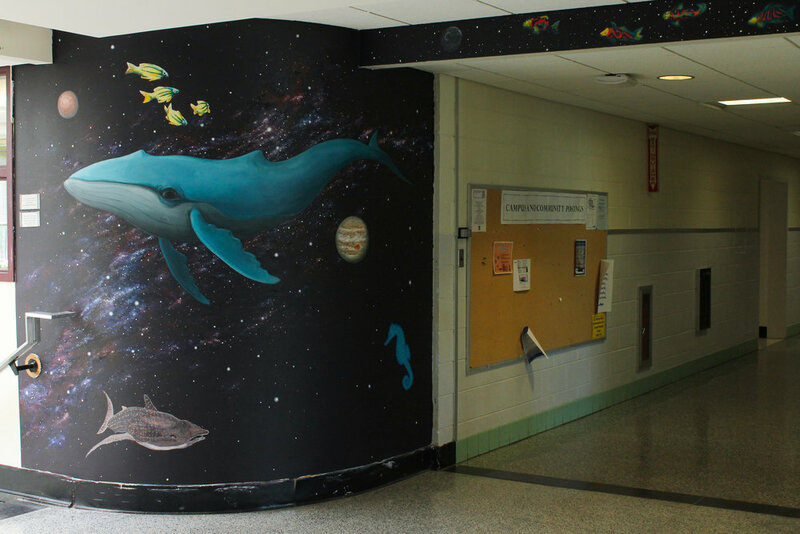 The fish were painted by Sam Leiching, the sea horse was painted by Katelyn Ambrose, the whale shark was painted by Dino Rende, the connecting beam was painted by Andrew Rider, and Monica Krajcovic painted some of the nebula effect. 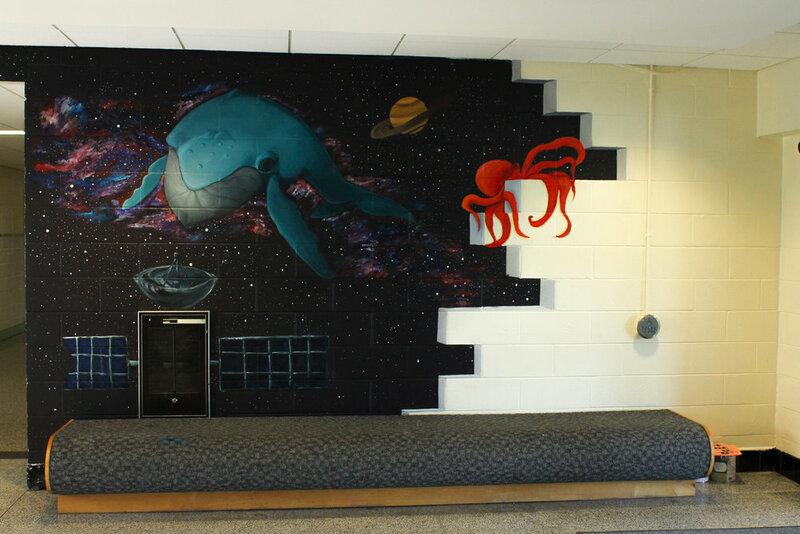 In this mural I painted the blue whale. 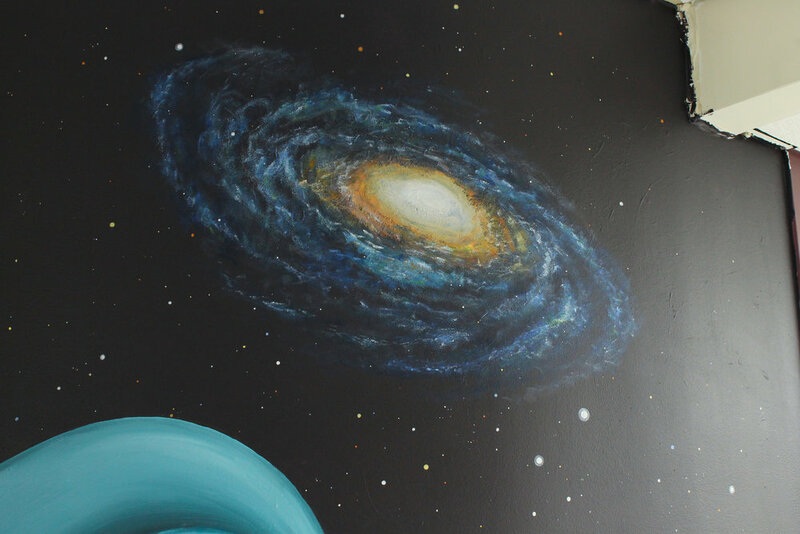 The satellite was painted by Sam Leiching, Jack Pierce, Jillian Lewis, and Dino Rende. The octopus and Saturn were painted by Jack pierce. 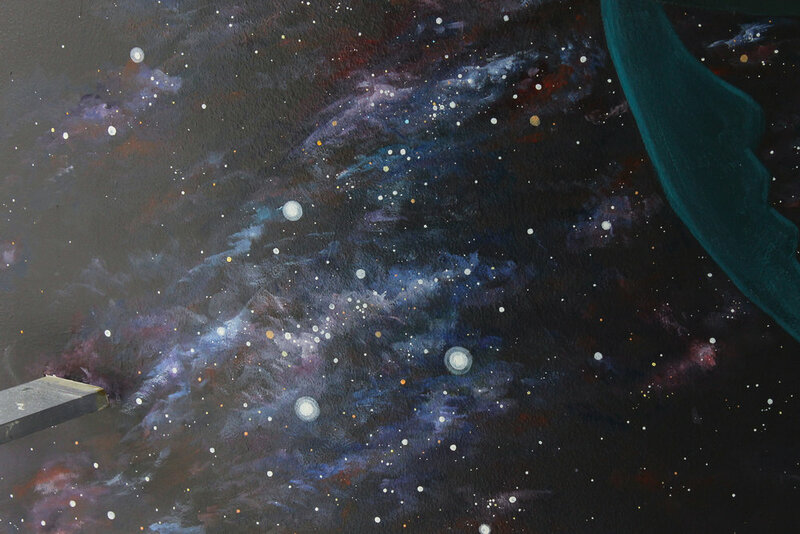 The stars and nebula background were painted by Jack pierce and Jillian Lewis. The brick wall with shading was painted by Katelyn Ambrose. The gallery below features close ups of everything I painted, as well as my original thumbnail sketches for the layout of each mural.